I hope everyone had a fab Christmas, even if you celebrated or not! With it being babies first Christmas ours was a bit of a whirlwind but we certainly got spoilt. 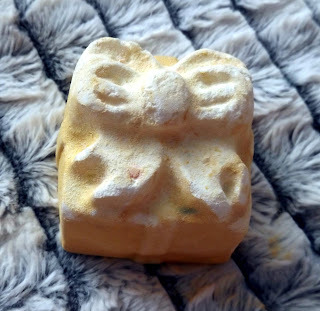 Now as you know I adore Lush, there's nothing better than relaxing in a nice long bath with a bath bomb in my opinion and as I got some as a Christmas pressie this year I thought I'd blog about them! 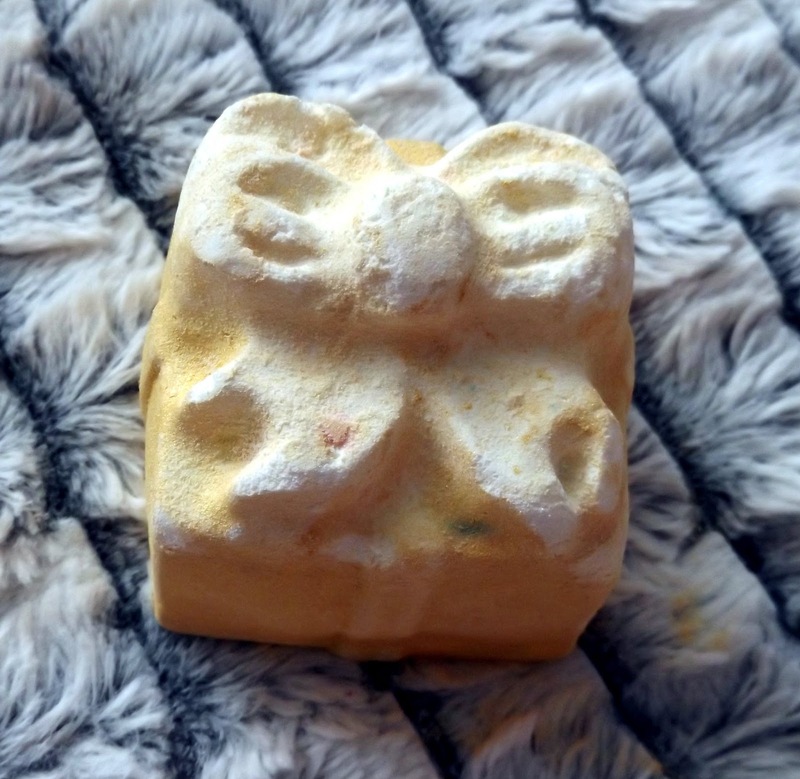 I was super excited to open a box of Lush at Christmas, I haven't tried any that were in there and they were all ones I'd been meaning to try. First up is The Comforter shower gel, it's been on my list of things to buy for ages but I've never seemed to have gotten around to it. With it's gorgeous blackcurranty scent and sweet cassis, it's a lovely sweet smelling gel without being sickly. As always with Lush the scent seems to hang around on your skin for a few hours after a shower, so you can get that just out the shower scent. Deffo one I'd get again as I'm a total sucker for anything shower gel related that smells sweet or foodie! I don't know if this Father Christmas bath bomb is cute or creepy. I mean the big man is meant to be welcoming and that one guy we could never get worried by but this eyeless face just gives me the creeps. 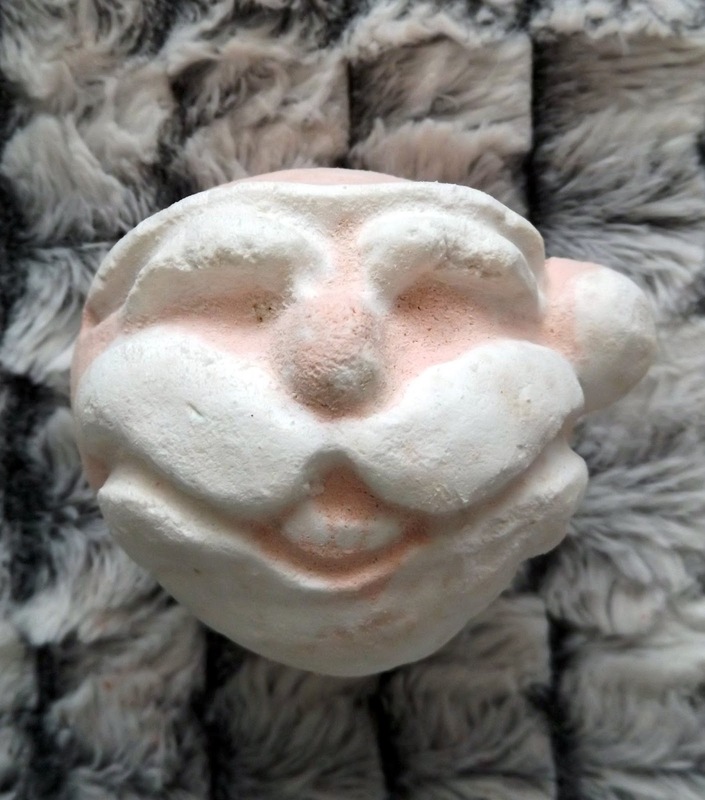 With all the said this little bath bomb fizzes away to reveal a green center, how very festive! All I can say about this Golden Wonder bath bomb is it's utterly huge. Lush aren't known for being stingey but oh my this is massive. I haven't used it yet but I am very tempted to crack this in two! 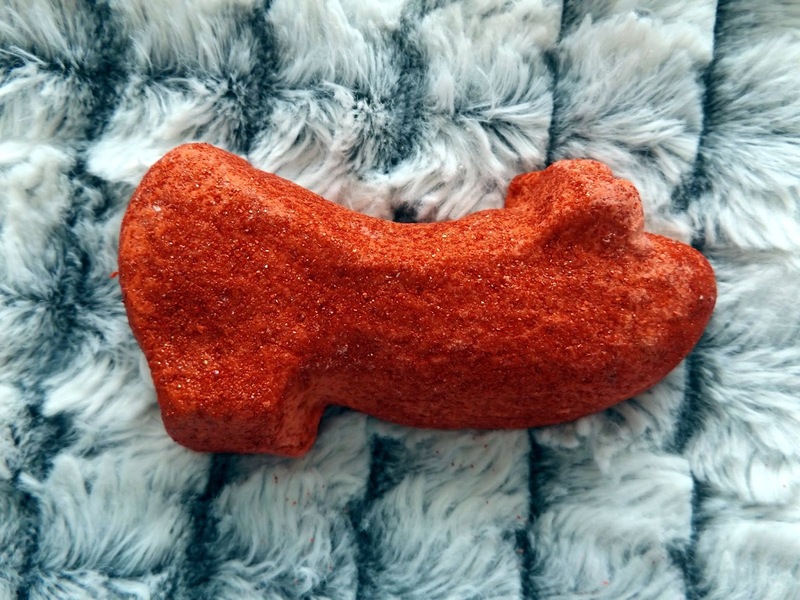 Not only does this offer you gorgeous golden glitter and turquoise colour waters but as a blend of Cognac and lime zest, it's a cocktail for your bath. Perfect for me who hasn't been able to drink while I've been pregnant. While this little guy isn't the most festive of bath bombs, he's still utterly adorable and full of gorgeous cocoa butter to help keep you skin lovely in the cold weather. He has a vanilla scent to him which for me would be perfect after a long stressful day when I'm in need of some serious pampering! It's red and glittery and shaped like a shoe. 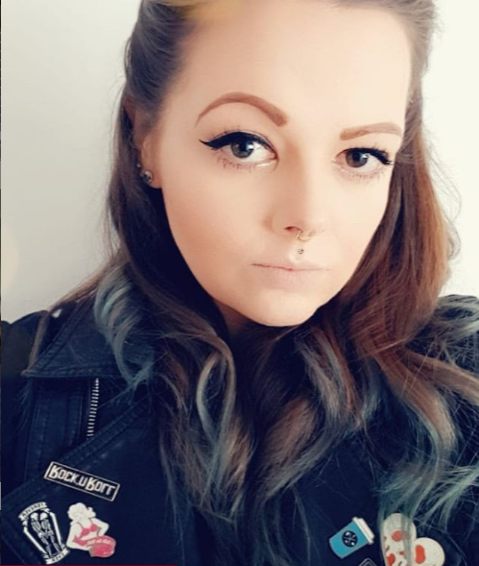 What isn't there to like? 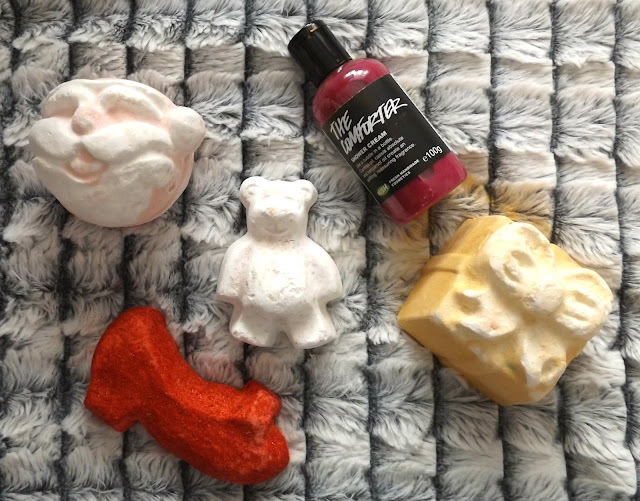 The Ruby Slipper Bubble Bar was the first one that caught my eye and as I've never used a bubble bar before I can't wait to give it a go. It has a spicy floral scent and is easily big enough to break into two for double the enjoyment. It turns the water red and adds a subtle shimmer too! Did you get any Lush goodies this year? What's been you fave? 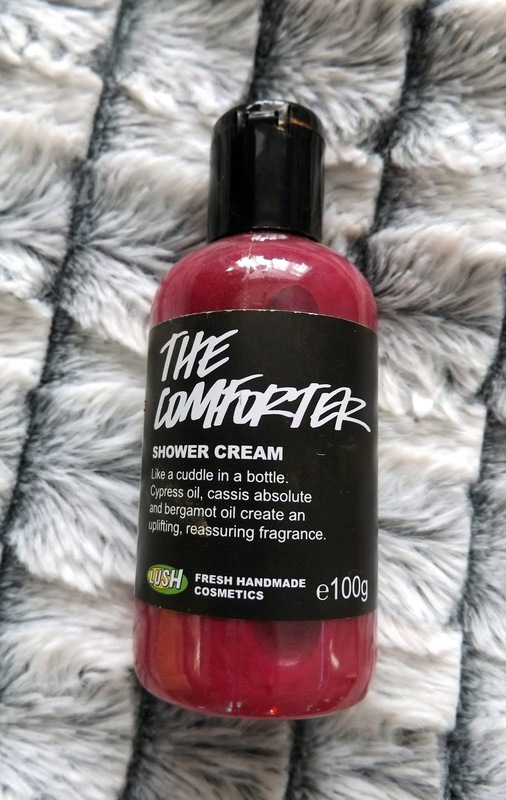 I got the Comforter shower Cream for the first time this Christmas too and I'm so impressed by it -I'm usually more of a Snow Fairy fan. It reminds me of cough medicine (but in a good way!) 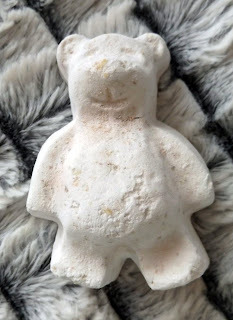 I'm a big fan of the bubble bar version but I don't think it smells the same somehow.